Last year the analog collective of Unzalab Milano was invited to the 3rd Marienbad Film Festival. 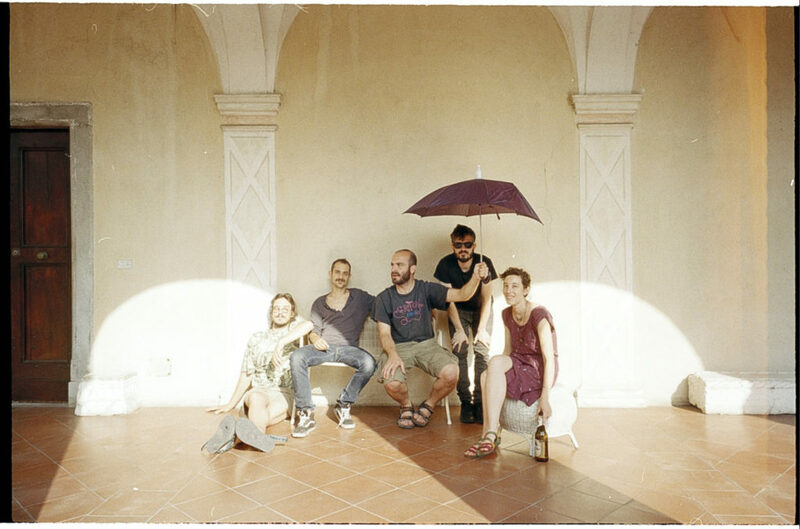 The collective’s main members are Tiziano Doria, Massimo Mosca, Carlo Tartivita, Alice Vercesi, Samira Guadagnuolo and Franco Base Tartaglia, its founder. They often collaborate with different musicians, as for example with Giuseppe Chito, who also came to the festival for a performance. The lab started mostly on Super8, but gradually expanded into 16mm. The members have different backgrounds, even though most come from the arts. Unza is one of only a few independent film labs in Italy. Could you say something about how Unzalab came about? What brought you together? What inspired you? Livio began using Super8 and developing films, and he shared his chemical formula with other people. This is how we started. And then the situation evolved and grew. 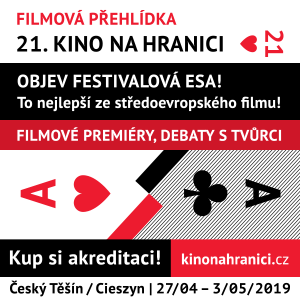 Because we realized that there was a network of filmlabs in Europe, we started connecting and meeting, and going to festivals. We realized there was the necessity to build a little lab, and we tried to start from this experience. So we had the possibility to have this new space and run a little lab. How did you find this lab? Max: Speaking for myself, through a workshop. Tiziano: The same for me, I came for a 16mm workshop held by Richard Tuohy, from the Australian filmlab NanoLab. Alice: And soon after that some authors or some curators came and told us: “You have to try to do this or that.” Or some musicians who need some people to make cinema during their shows come. So we arrange that. It’s very open. So the basis of the lab is the DIY approach? Alice: We started also with Super8 like most amateurs, and we wanted to use this medium of cinema to make proper amateur cinema, to tell things to our small community. And thus we seek to become protagonists of the films, and then also come back with them to our local community. Max: It’s a very local activity. An engagement of the people living in the neighborhood. The collective films reflect this sort of attitude. Samira: In the end you have to say that every member here has a background in art studies. Apart from Francesco, who is an engineer; but he is a strange engineer. [laughs] Max, Carlo and myself studied cinema. Tiziano studied photography. Alice studied fine arts and painting. You mentioned yesterday that neither of you had any practice with the film material. What led you to this project and how has it changed the way you understand cinema/film? How did having a lab change your film-making practice? Francesco: Unzalab has become an important space for me, for my experience. It is a space to show films; we invite filmmakers to show their films, to show different ways to approach film. And around this situation a group of people came together, a collective that comes to speak about this kind of cinema with a very different way of seeing. For example, I myself instantly make an association between experimental cinema and technique of filmmaking. People immediately say, “you are making cinema using Super8 and 16mm”. But I think in Unzalab we make a little jump beyond this kind of discussion. We think about language. About what we want to tell, what we want to make. I once said that the important thing is to have a place where you can show films, talk about them and make them. This is the important thing for a collective way to perceive and also create cinema. You have the possibility to see and to meet with very different ways of seeing cinema than the way you already know. Tiziano: The important things about Unza that hold it together are cinema and, above all, music. The films we make are without audio tracks, and thus we invite musicians to play with us very often. They are invited to perform original works, or very often improvisations that take place in the lab. And furthermore, we have with us technicians who are interested in the technical aspects of cinema. People who are really far away from cinema discourse, from fine, elite culture. But they fix machines, cameras, bikes. Does this bringing together different types of people work? Alice: Sometimes it does, sometimes it does not. Max: Our connection lies on another level, but it’s still a connection. However sometimes the mechanic comes see things we do, and says we should write a plot. Carlo: I think that there are places where you can say: “We are five people and there are lots of opinions.” And Unza is like this, more or less. Let’s say Tiziano, Max, Francesco or Samira are very different, but in some way similar to what I think. Unzalab is a place where these things can go together and it’s a popular place. A place where you can organize things: a concert, a projection, a performance. We can talk, and we usually say: “Can you do this alone? What do you need?” “I need 50 euro and four people to make this projector. Is it possible to get it for me?” We talk and figure it out: “OK, it’s possible.” And when you come, you can see a film or a projection for free or two or five EUR maximum. Never more. Our interests are very different. I am not a fan of mechanical things, not a fan of mechanical bicycles. I mean I like bicycles but I’m not a freak. [laughing] And the same thing goes for projectors and movies. But you can do what you want. We have this place, it’s very open. Max: Also for the lab – getting back to the costs. Working with film is expensive, but we try to share means and make it cheaper and accessible for people who dare to “get their hands dirty”. Carlo: The material is very expensive, but by buying the material together and sharing the instruments we try to make it affordable. Is there anything particular you enjoy about experimenting – be it with different media, different cameras or different techniques? Max: For me right now, it’s also about the people. Some things, like developing, could also easily be done at home. Get a Lomotank, get the chemicals. I mean not easily, but they can be done. But in Unzalab it can be done meeting and sharing experiences with other people. So it’s a lot about the people you meet and the community you work with. We are trying to learn together, share the knowledge. Tiziano: It’s not just technical stuff. It’s a lot about ideas. We are a lot less technical than it may seem. It’s totally experimental, we share ideas, and new ideas come. Samira: Maybe, I say, but I am the newest member, I say at first there was the experimentation with the material, and then the group and then what could come to life from the group, new ideas. That is what we are working on. Probably that is the most important thing, maybe it’s quite early to see if it will succeed or not. Who gets to see your work? Max: It depends. The Unzalab collective films were screened several times in a local context, in the neighborhood, or at small festivals, if we are invited somewhere. This does not happen so often, by the way. There are also other films, for example Tiziano‚s films, which have another life outside and they go to festivals. It depends on the specific film. There is not specific audience. Alice: When we do screenings in the association, people from the neighborhood or the building come. Carlo: Right now there are three types of productions. Films by a single author, the films made in collaboration by many authors, and the performances. For now, there are only three collaborative films. They were made in the workshop with young people, which was about the neighborhood, about a story in the neighborhood. For the performances, the public is closer to the underground music scene. Like a music venues or clubs in Milano. Max: For example we’re working on a new piece right now, which is shot on 16mm black and white films and 35mm color film slides. The occasion for the film was given by this (very independent) psychedelic music festival that took place last June at a farm just outside of Milano, called Zuma. There was a very nice atmosphere, quite uncommon for Milano, so we decided to just shoot some reels, focusing mostly on audience rather than stages or performances. The approach was really guerrilla-style; getting your Bolex (camera) ready and shoot. After the shooting we decided to present the work in an open free form, as a live performance for two 16mm projectors and two 35mm slide projectors. The soundtrack is going to be performed live by some of the musician involved in the festival. It was presented for the first time at the end of November 2018, during Filmmaker Festival in Milano. Any last words you could address to readers who are eager to create experimental films or even found a collaborative lab of their own? Tiziano: Don’t be afraid. If you are afraid, you will do nothing. If you are lazy, you will do nothing. Unzalab Milano interviewed by Milan Kroulík.